For a great cardiovascular workout when you are limited on space, Stamina’s® InStride® Pro Electronic Stepper is the solution. The InStride Pro Electronic Stepper weighs just 20 pounds and has a footprint of only 12 inches wide x 16 inches long, so you can use your Stepper anywhere: while you are watching television, while on the phone, in your sunroom, outside, or even at work. The Stamina InStride Pro Electronic Stepper is even small enough to toss into a workout bag and take along. Resistance is provided by two hydraulic cylinders for smooth steps that work your calves, thighs, and buttocks as well as your core, while the aerobic aspect of the stepper helps you burn calories and fat. 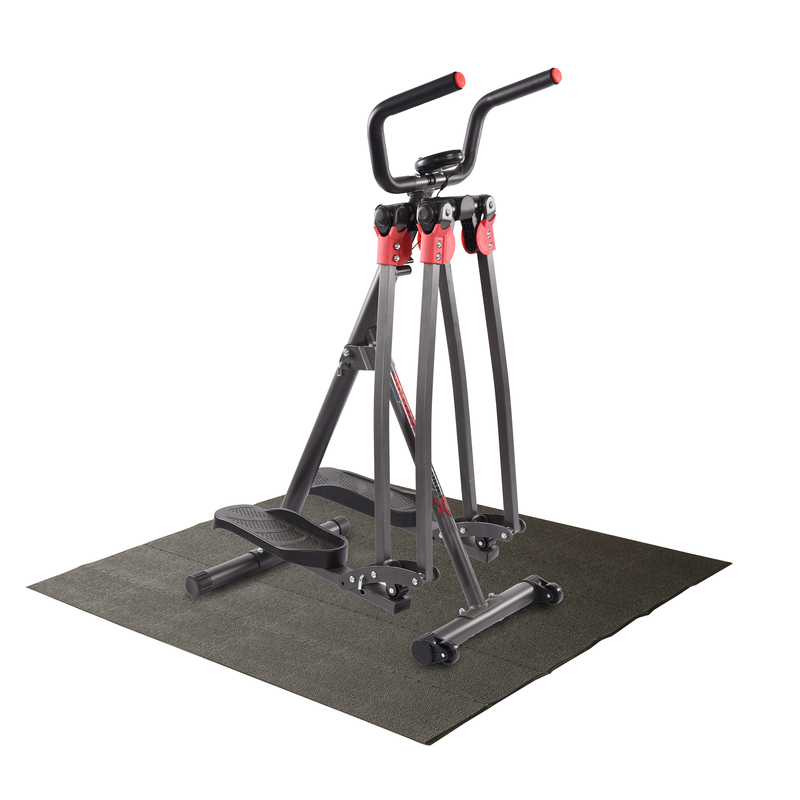 Two rubber resistance tubes connect to the stepper to add an upper body workout to your cardio routine. The InStride Pro Electronic Stepper comes with the Stepper Workout DVD with Mia Finnegan. The battery-operated multifunctional fitness monitor times each workout and counts the number of steps, so you stay motivated and on track to reach your fitness goals. Use for an effective cardiovascular workout and strength training. Use the removable toning bands with the stepper and alone. Wide, textured, non-slip foot pedals and skid resistant floor protectors. Improves cardiovascular fitness, tones upper body, and aids in weight loss.